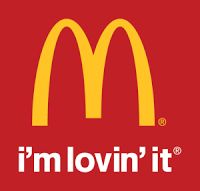 I initially started a position with MCD back on August 13th and that post can be found here. I ended up buying 23 shares today @ $86.12/share. This was a little cheaper than my initial purchase of 22 shares at $87.80/share. I believe MCD is a company that will still be selling Big Mac’s 20 years from now. They have 36 years of consecutive dividend increases. They have a current yield of nearly 3.6%, payout ratio of 52% and a huge 5-year CAGR of 20.4%. You’re on a roll man. Great purchase here. It looks like you added almost $4k worth of fresh capital to your portfolio over the last couple days. Great moves! Can’t go wrong with a global juggernaut like MCD, and the entry yield for a blue chip stock like this is pretty strong. That CAGR is crazy! Thanks DM. I’ve made some sizable purchases this month that will boost my dividend payouts. I hope I can keep contributing at this pace. I don’t expect MCD to keep that large of dividend increases going but I’m sure they will be well ahead of inflation. Good luck! Nice buy! And perfect timing too, you got in right before it goes ex-div. I really like your purchase of CVX too as well. These 2 companies are in my long-term Core. As safe as it gets, really. Making the next dividend payment will be a bonus. I agree with you that these are core holdings and I plan on keeping them for a very long time, hopefully forever. Good pick up. IMHO, buying MCD with a 3.5% plus initial yield is good value. If we see 4%..back up the truck. You have made some nice additions this month! Thanks for stopping by. I’m with you on MCD yielding 4%, I’d definitely be buying as much as I can. You’ve made some impressive buys yourself. I love the pace you are keeping and the fact that you are putting in orders every single week. You must have picked up about 600 shares of Intel this month, that’s awesome! I actually opened a sharebuilder account, I haven’t started contributing yet but may do so next year. It seems to be working well for you.